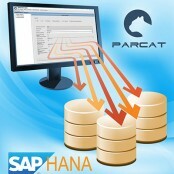 Data from the Parcat system can now be exported directly to the SAP HANA database. For the 9th time we will appear at the TUG@BachTeX Conference. We invite you to come and contact us.